He wants a second chance. She says there's no going back. Ten years ago, a public disgrace sent Jenna Jenkins running from her hometown. Now, the success of her professional future hinges on joining her hometown church restoration project. Her partner and team leader on the job is William Scott—expert renovator, volunteer fireman, and the ex-flame who ruined her life. William is in crisis, facing the tightening screws of personal and professional failure. When the interior designer on the church renovation project turns out to be Jenna Jenkins, William sees it as a chance to make amends. But Jenna wants nothing to do with him. How much will William sacrifice to redeem his mistakes and prove his love? Can Jenna protect her heart this time or will William break her for good? Reunions aren’t always what they’re cracked up to be. A decade should have healed all the hurt, but once Jenna sees William, the former high school love who crushed nearly everything about her in a senior joke gone horribly wrong, it’s like reliving the whole nightmare over again. Compounded by a gruesome marriage in between, Jenna can’t seem to catch a break. Sure, she’s grown up and successful, even finally well-put-together enough to rival the former cheerleading crew who gave her grief in high school, but the victory is hollow considering the changes that have occurred in her hometown during her absence. A boost to get her interior decorating column in national syndication drives her home to help renovate a church. On television, no less, as the builder is trying out for a reality show. Her job is the inside. And to work with the building contractor who turns out to be none other than the young man from the disastrous high school prom night now turned into a real home town hero. The ten-year cushion may have helped them step back and put their lives into perspective, but accident on accident, misunderstandings, false pride, and a potential health crisis will most likely derail any possible romantic chance they might have had unless they can slow down and really listen to each other. 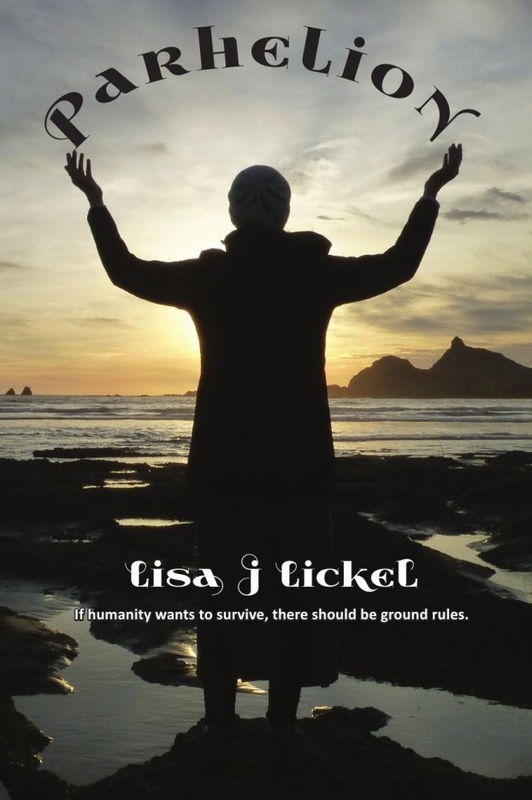 Beautifully written well-developed characters and story lines drive this lovely story of getting past some really bad choices and learning how to be gracious and forgive. These people have a long way to go by story’s end. They’re not perfect, though they have a conscience and will get there. I appreciate a good tale that doesn’t sugarcoat everything. Told through the two main character’s perspectives, I occasionally felt like I was missing something when I realized time had elapsed between the opposing narrator, but that’s natural and real. Those who enjoy highly inspiration elements in a romance between hard-bitten and twice-shy people will find a lot to love about this contemporary romance set in Michigan. Stacey Weeks is a novelist, writer, and painter of everything. She rotates between fiction and non-fiction work, loving the unique features of each. When not writing, she is usually painting or renovating something in her home. Visit www.staceyweeks.com for more information. 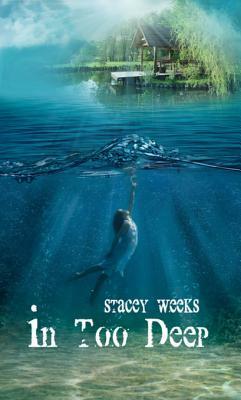 Like an anchor wedged in the lake floor, Grace Stone's heart is submerged in the past. Drowning in guilt over the role she played in her father's and sister's deaths, Grace prays that launching her water survival program at Camp Moshe will properly honor their memory and enable her to move on. But success depends on Grace risking everything on the man hired to rebrand the Christian camp. Kye Campton's usual confidence wavers when his extreme sports campaign lands him in hot water with the cautious instructor and it becomes increasingly evident that Camp Moshe's fight for survival is against more than a declining economy. Will Kye be able to save the camp—and Grace—from a saboteur determined to close the camp at any cost? The threats and “accidents” get personal. Both Kye and Grace have their futures resting on a positive program at the camp—Grace with a national program to promote water activity safety, and Kye to keep up his reputation as a genius businessman. Between a dangerous bear, malfunctioning equipment, booby-traps and fire, not to mention astronomical insurance, everyone, especially the kids, will lose if they have to close the camp. Everyone but the mastermind behind the sabotage, that is. The race is on to save camp, and for Kye and Grace to discover what’s truly important in life: their individual goals and their mutual attraction. Alternating points of view between Kye and Grace tell their story, inner desires, and mutual goals in this charming story. Readers will be transported to their own days of experience at summer camp, or at least get a fun twist on summer romance—meddling moms and all. Lots of fun. 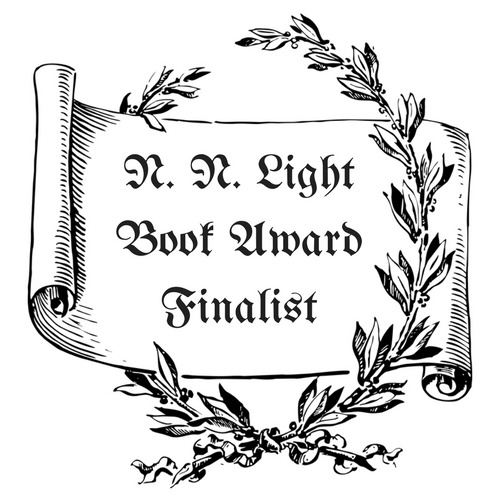 A new mystery in the Appleton, WV series! Everyone loves Toby Gibson. A co-owner of Undiscovered Treasures, a unique shop of antiques, collectables and junk, Toby is friendly, generous to a fault, the director of the local plays in Appleton and supports his church's youth functions. But the minute his sister, Caroline and her new husband, take off for their honeymoon, a “ghost” begins to haunt the shop—or maybe it's just an intruder. If so, Toby has no idea for what the thing is looking. 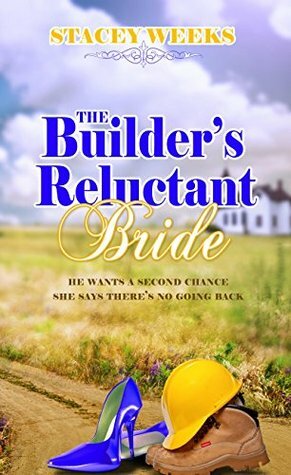 To add to his troubles, he suspects Amy, not only is bidding for the property he's wanted forever, but is in love with him. And he's not interested. Amy Sanderson who owns the only flower shop in Appleton—Bloomin' Life—is drawn into capturing Toby's “ghost” when her own business is damaged by a destructive intruder. Having loved Toby since a teenager, she's more than willing to join forces with him. But she has no interest in being his best friend or a sister to him. And if she has to resort to schemes of outbidding him at his frequent auction attendences to get his attention, then so be it. She can be just as stubborn as the man who's determined to ignore her love. In between the break-ins, destruction of property, thefts and personal competitions against each other, Amy and Toby work together to find the thief who seems so determined to find a valuable item, he'll stop at nothing. 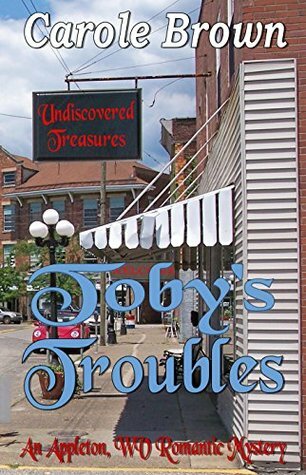 Toby Gibson is sure he’s got a ghost in Undiscovered Treasures, the store he owns with his sister, who’s out of town on her honeymoon. He’s alone in the above store apartment, but as sure as he is that he’s got an unwanted visitor, he’s equally sure Detective Eddie of the Appleton Police won’t be able to help. Not until his friend Amy from the flower shop on the other side of the abandoned building between them and he start experiencing real break-ins, that is. 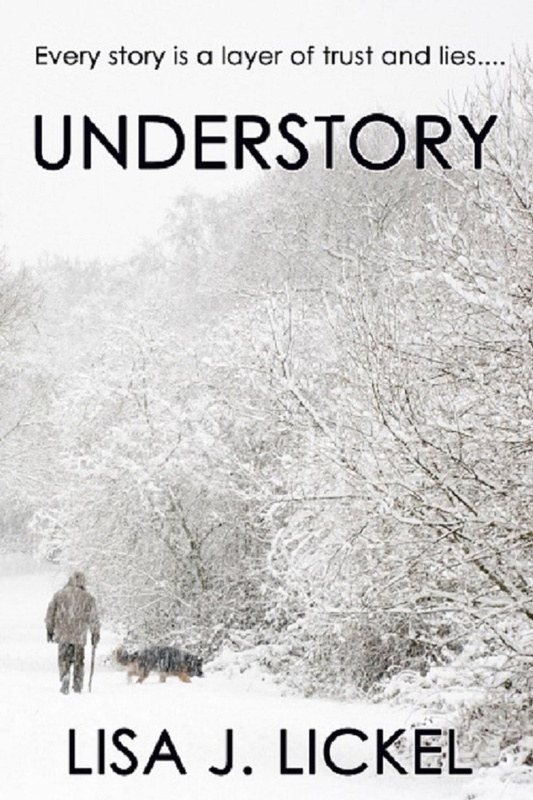 From the moment Toby meets a grumpy old man badgering Amy who outbid him on a piece of furniture we wanted at an auction and stole his dream of expanding into next building this fourth book in Brown’s series is like coming home to old friends. Poor, clueless Toby, is about to get a lesson in the real meaning behind best friends. It’s a riot to watch Toby get what’s coming to him while working with his friends to unravel the mystery of dark family secrets in sunny Appleton, West Virginia. Cleverly weaving businesses and friends from the previous stories and melding them into a new mystery, Brown makes Appleton a fun place to visit. Told from multiple perspectives with good pacing. Brown’s stories are clean and inspirational, and recommended for junior high readers and up. 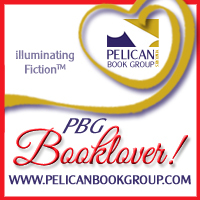 Besides being a member and active participant of many writing groups, Carole Brown enjoys mentoring beginning writers. 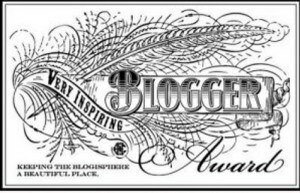 She loves to weave suspense and tough topics into her books, along with a touch of romance and whimsy, and is always on the lookout for outstanding titles and catchy ideas. She and her husband have ministered and counseled across the country. Together, they enjoy their grandsons, traveling, gardening, good food, the simple life, and did she mention their grandsons? Cars were far easier to understand than most people . . .
Titus Rickmeyer has a servant’s heart. Mechanic and tow-truck driver he’s used to coming to the aid of damsels in distress, especially serving as part of Orchard Hill’s Garage Ministry in his spare time. So why is he suddenly suspicious of the young man fixing cars and bringing donuts to the repair shop? Bethany Joelle Hanson has been on her own for too long. Orphaned and dumped into foster care at a young age she bounced around the system until declaring her independence at sixteen. She holds her secrets close. She wonders if God has abandoned her too. Working as an assistant baker at a local grocery store, she becomes B.J. in her off hours to work on cars at the Garage Ministry where all the guys there think she’s one of them. But something about Titus threatens her long-honed desire to hide her femininity. The twists and turn in their relationship lead to detours on the way to the sweet taste of love. We all see what we want to see, coming at life from our biased points of experience. Baganz’s latest addition to her series of interconnected friends and family who attend the same Milwaukee-area church just goes to prove the rule. Her story of broken people who come together and weather figuring out how to make friendship, then romance work, is a lovable read. All the stories in the series are stand-alone, with pop-in guests from the other books who play supporting roles. It is not necessary to read them in order, but you’ll be curious about how the relationships developed. An orphan who experienced an accident and abuse resulting in physical scars, Bethany never knew more than sadness. Losing her mom and dad at a young age and then knowing only foster homes never presented a good role model for friendship or marriage. She feels unprepared for life, as well she should be after emancipating at age sixteen. Fortunately she found a precious lonely older woman who rented part of her home to Bethany. They both need each other and become close. Bethany fell back on two work experiences she learned from a too-brief stay at her one loving foster family and became a baker at a store and works on cars as a volunteer to provide an outlet for her mechanical talents. She not only hides her talents but her gender, fooling even the director of the volunteer church mechanic program—for a while. After an accident at the garage, there was no more hiding. Fortunately, the volunteers at the program were on to Bethany long before Titus, or Ty for short. When Titus and Bethany respond to their feelings for each other, they realize they have a long road ahead of them to work out their personal issues. With the help of their solid faith and new friends and family, they prove that love always conquers all. Told in multiple points of view, Baganz’s character names can be a handful, as Bethany Joelle is the main female character’s preferred reference and Ty is a short balance. Some of the initial dialog felt a bit stiff, but smoothed out the further we got into this intriguing story. I always enjoy seeing the other characters from the series support each other. Bethany’s claim toward the end that she doesn’t need Ty, but wants him in her life, is a powerful statement that helps put the stakes of a relationship in perspective. Baganz’s former career in social work shows the heartbreak and the joy that can happen through foster care, as well as the disappointments of neglect in families who stop taking the time to care for each other.